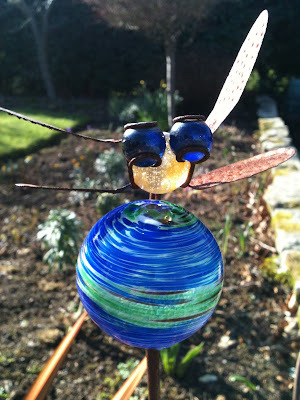 Its been a lovely day for gardening and as I pottered around in the sunshine I came upon a couple of gardening mysteries. I'm hoping that someone, somewhere will don their deerstalker and with the help of the picture clues below solve this green fingered mystery. Last Autumn I discovered a young seedling in the garden which I thought was an Erysimum, one of many I have in the garden. Having popped it into the corner of a pot its grown rather well considering be outside, and that's just the problem it no longer looks quite like an Erysimum. Which begs the question what could it be? Found in a patch of bluebells which was kindly donated from a friend last year. I have potted it into its own pot until I can discover what it is. Do you know what it is? Please leave a comment below if you think you can help. No such thing as a mystery when it comes to the rest of the plants in the garden, which are looking particularly pretty in the sunshine. 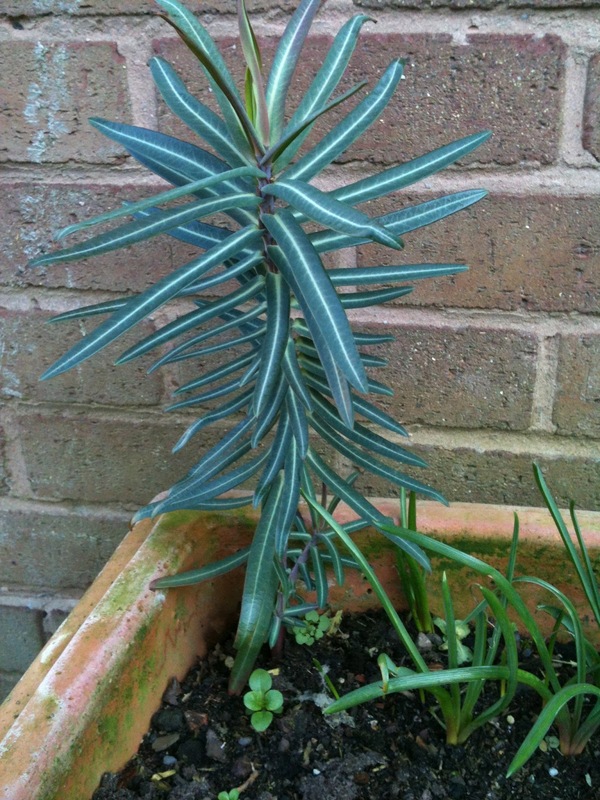 Hi - the first plant is a Euphorbia called caper spurge and the second looks like it might be a tulip - my 'Red Riding Hood' have leaves like that. Thank you for stopping by and solving my mysteries, I have a Euphorbia in the front garden that looks nothing like the Caper Spurge. 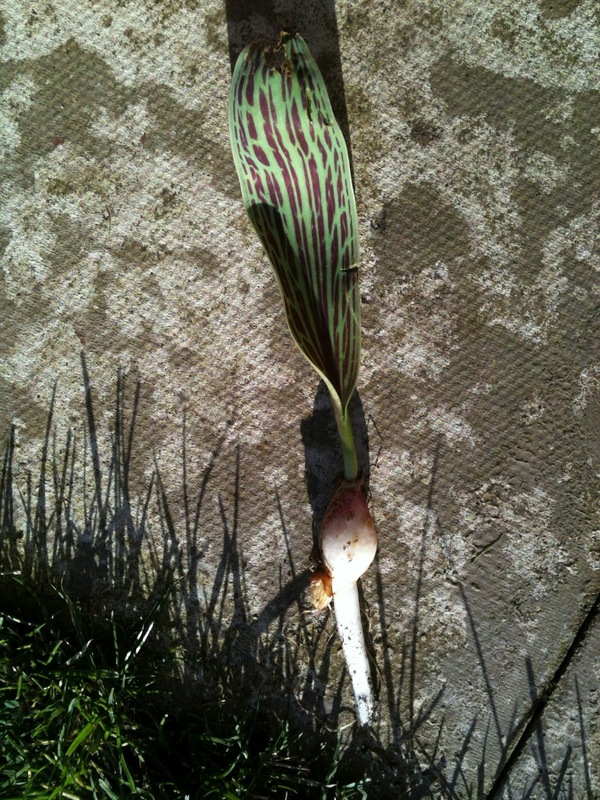 I don't have too many tulips in my garden so this rogue bulb is most welcome, particularly if its a red one. I agree with VP. 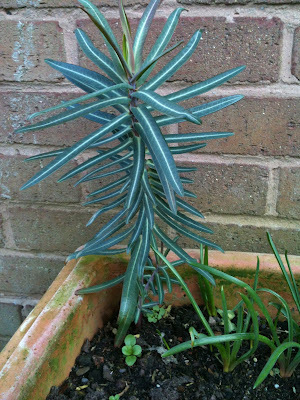 The first is euphorbia lathyris - the caper spurge - and the second looks to me like it might be a tulip. There are a number of tulips with similar leaves but I reckon that Red Riding Hood is a very good guess. A-HA! 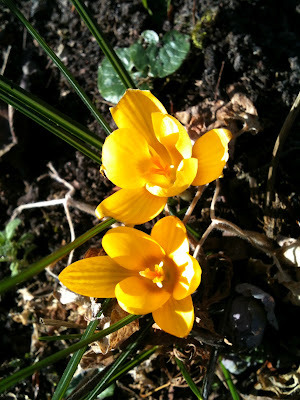 I have mystery plant number 1 in my garden and now I know what it is... Thank you! I knew tulip, but hadn't a clue about the first plant. I must admit, I would have asked my mum rather than showing my ignorance to the world. 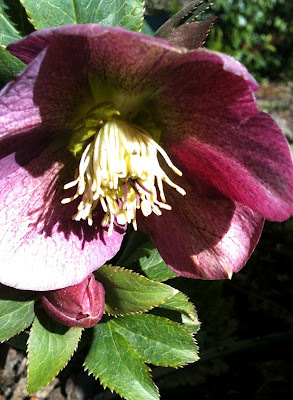 Gorgeous hellebore, I'll have to see if I can squeeze one in to this tiny garden. I haven't had much success with them before, slugs seem to love them.